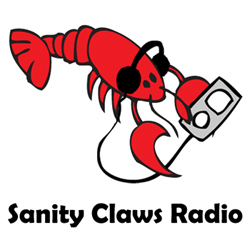 Sanity Claws Radio – Badgercon Booze Special 2015! It’s our annual Badgercon Booze Special in this episode of Sanity Claws Radio. Scotty, Karen, Steve, Badger, and Jon bust out the booze as we ring in Badgercon 2015. We frame all of the drinks into a theme that is very, VERY important to Jon. Also, Jon reads all of the comic books, Steve eats chocolate, Badger does all of the home improvements, and Karen and Scotty share a special moment. And finally, we finish off the show with a feisty round of I Can Top That. Join in won’t you? ← Lobstertank #23 – Steven Universe Spoiler Session!